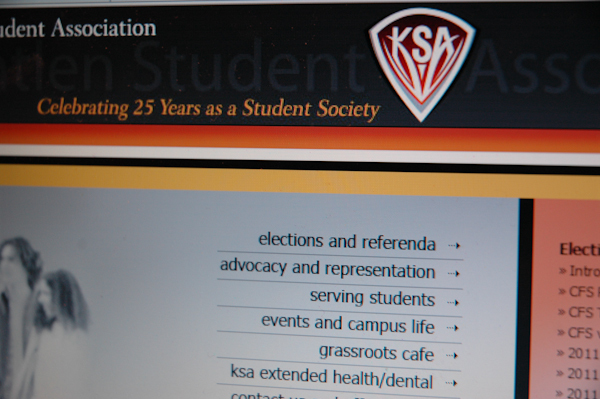 Voting in the KSA election starts Jan. 31 and runs until Feb. 6. All voting will be done online. When the polls close at noon on Feb. 6, this year’s KSA elections will be the first to have been conducted exclusively online. Unlike previous elections, which occurred only on one day and involved physical ballot boxes and voting booths, voting will be conducted online from noon on Jan. 31 to noon on Feb. 6. But there are concerns among KSA Executive Board members that the door for breaking the rules is wide open. KSA Director of Academic Affairs, Brad Head, sees problems with the online voting system, predicting a lower voter turnout. “Many students don’t vote already… many students don’t go onto their myKwantlen account,” he said. Head is also concerned about cheating. Since voting traditionally took place at stationary voting booths in years past, computers that will now be used for voting are required to be “stationary.” In other words, candidates are barred from simply walking around campus with a laptop and asking people to vote. KSA Director of Finance, Shanal Prasad, has similar concerns. KSA Director of External Affairs, Matt Todd, said it’s also against the rules for a candidate to walk around and offer candy bars in exchange for votes, something that was just as likely under the paper-balloting system. “We already live with that risk, we just have different packaging on the risk,” Todd said. As for benefits, Todd said it is much cheaper to put the vote online. And because it is cheaper, it is possible to run the election over more days and, he hopes, capture more voters. As well, there are no “bad ballots” online, and tabulation of votes is automatic. This year, there are 59 candidates running for various positions in the KSA. This is the largest number of candidates to have run in a single election at Kwantlen. “It means people are paying attention and actually care enough to participate,” Todd said.